Bangladesh has been consolidating its position as a potentially vibrant liquefied natural gas (LNG) buyer in the global market as it has rebounded from its initial setback and been supplying re-gasified LNG consistently to consumers over the past couple of months. State-run Petrobangla already imported around 562,000 cubic metres of LNG through four regular consignments from Qatar's RasGas until October 15, 2018, according to Petrobangla. It has also finalised future schedules of importing LNG vessels from RasGas. Currently, Bangladesh has been re-gasifying around 300 million cubic feet per day (mmcfd) of LNG in Excelerate Energy's floating, storage and regasification unit Excellence at Moheshkhali Island in the Bay of Bengal, which is Bangladesh's first LNG import facility, for regasification, he said. Re-gasified LNG is being supplied to the country's main port city Chattogram, formerly known as Chittagong, which is located near the LNG import terminal. The volume of re-gasified LNG supply from the Excelerate's existing 3.75 million tonne per year (Mtpa) capacity FSRU would increase to around 500 mmcfd, once the currently under-construction 30-km gas transmission pipeline between Anwara and Fouzdarhat is completed. The pipeline is expected to be constructed within next couple of months. Bangladesh's second FSRU having the similar re-gasifaction capacity is expected to come online by early 2019. 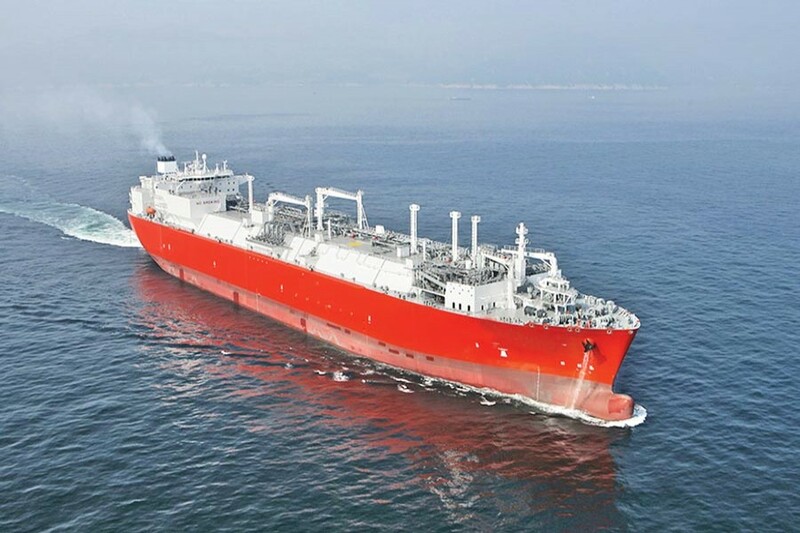 Local Summit Group, having partnership with Japanese Mitsubishi and USA's GE, is building the FSRU near the currently operational Excelerate's FSRU at Moheshkhali island. Excelerate Energy's vessel Excellence arrived at the Moheshkhali Island terminal April 24, carrying 136,000 cu m of lean LNG from Qatar. It was due to start delivering the LNG from May 7. Technical issues and rough seas during Bangladesh's southwestern monsoon over June-August, however, kept it stranded off the south coast of Chattogram for more than three months. Excelerate Energy docked and connected the FSRU to the subsea pipeline network August 05, and commenced injecting the gas August 12. But the initial set back is now over. Petrobangla started regular imports of LNG from Qatar's RasGas from September 9 after initiating successfully the supply of regasified LNG to consumers from August 18. Currently, Petrobangla has a binding sales and purchase agreement (SPA), with RasGas to buy around 2.5 million mt/year of lean LNG over the next 15 years. It has also a similar SPA to import around 1.0 million mt/year of LNG from Oman Trading International for 10 years. Petrobangla also has a preliminary agreement with Switzerland-based private firm AOT Energy to import around 1.25 million mt/year of lean LNG for 15 years. It also signed a letter of intent with Indonesia's Pertamina to import around 1.0 million mt/year of LNG over 10 years. Bangladesh also shortlisted over two dozen LNG suppliers to purchase LNG on a spot basis. Bangladesh is devising a mechanism to import LNG from almost all the term deal suppliers and some spot suppliers. RPGCL, a wholly-owned subsidiary of Petrobangla, is in charge of monitoring LNG imports and its facilities in Bangladesh. To streamline further the LNG imports and avoid 'higher' costs the government shelved plans for building three small-scale FSRUs by LNG suppliers and purchase of re-gasified LNG from them. It also scrapped an ongoing talk with Indian Reliance Power Ltd to build a new 3.75 Mtpa FSRU for LNG imports at Kutubdia Island near the port city Chattogram. Relatively high costs of small-scale LNG projects and the initial setback to dock the maiden FSRU led to the shelving of such projects initiated by the Energy and Mineral Resources Division (EMRD) under the Ministry of Power, Energy and Mineral Resources (MPEMR). Commodity traders Trafigura, Gunvor and Vitol, as well as Belgium-based shipping company Exmar NV were in final talks with Petrobangla and its subsidiary, RPGCL, to build the mini FSRUs and sell the gas to Petrobangla. Petrobangla did not have any binding agreement with any of these firms, nor with Reliance, to award contracts. Much to the disappointment of LNG buyer Petrobangla, the Bangladesh Energy Regulatory Commission (BERC) turned down the proposal of hiking the blended natural gas tariff, which would be a major challenge to foot LNG import bills. Petrobangla sought Tk 54 billion as fiscal support from the Ministry of Finance to import LNG during the current fiscal year (FY) 2018-19, until June 2019. The BERC, however, argued that fiscal support worth around Tk 31 billion would be required for Petrobangla during the current FY 2019. According to a report prepared by Copenhagen-based research firm Ramboll in association with Geological Survey of Denmark and EQMS Consulting Limited, Bangladesh will need to import around 30 million mt/year of LNG to meet the mounting demand from various sectors including industries, power plants and fertiliser plants by 2041 as the domestic gas reserves are depleting fast. Bangladesh's existing gas reserves of around 12 Tcf (trillion cubic feet) would be completely exhausted by 2038 if no new exploration and discovery take place, the report said. Ramboll officially handed over the report to Petrobangla in August 2017. The government has set a target to be a developed country by 2041 after achieving all necessary economic growth. The report however, suggested rigorous exploration activities onshore as well as offshore, which it said, could raise gas supply by 1.40 billion cubic feet (Bcf) per day from about 5.0 Tcf of new reserves. Bangladesh's current natural gas production is hovering around 2.75 Bcf per day and with the re-gasified LNG, the country's overall natural gas supplies stand at around 3.05 Bcf per day against the demand for 3.96 Bcf per day, according to Petrobangla. This supply shortfall has to be met by LNG imports, the report said. The imports are forecast to increase to 40 per cent in 2023, 50 per cent in 2028, and 70 per cent in 2041. By 2041, the natural gas demand would be around 8.0 Bcf per day, according to Petrobangla's assumption. As far as the mechanism of paying the LNG import bills is concerned, a proposal to raise domestic gas prices remains pending with the Bangladesh Energy Regulatory Commission or BERC. Bangladesh has been blending re-gasified LNG with locally-produced gas before supplying it to consumers. The country's revenue regulator-National Board of Revenue (NBR) -- on October 3, 2018 waived a total of 122 per cent cent tax on locally produced natural gas at the consumers end to keep the blended gas price rational. The tax includes 93.25 per cent supplementary duty (SD) and 15 per cent value added tax (VAT) thereafter. The NBR, however, slapped 15 per cent VAT on the import of LNG. The NBR also waived 5.0 per cent customs duty (CD) on LNG imports but slapped 2.0 per cent advance income tax (AIT). Issuing all these NBR SROs means the existing total 122 per cent tax, including SD and VAT, on locally-produced gas would be replaced by 15 per cent VAT and 2.0 per cent AIT on LNG imports. The price of Brent crude-the benchmark for fixing LNG purchase price-hovered around $80/barrel on October 22, 2018 after climb to $84.88/ barrel on October 02, 2018, from $66 in April 2018 when Petrobangla imported first LNG through FSRU. Excelerate has been charging Petrobangla fees worth US$ 232,000 daily since the commissioning of its vessel at Moheshkhali on August 18, no matter the quantity of LNG it re-gasifies. The writer is a Special Correspondent at FE.